Middleton Hall & Gardens is a little-known historic site located on the North Warwickshire border, between Tamworth and Sutton Coldfield. 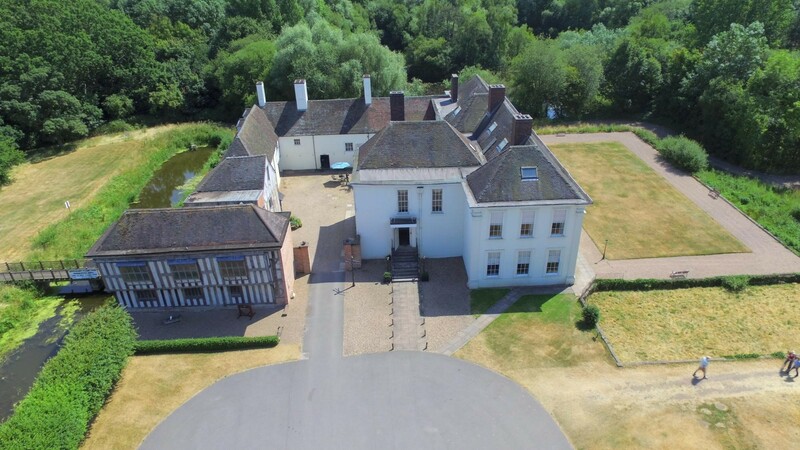 The estate covers 42 acres which encompasses a historic manor house, an eighteenth-century Walled Garden and the oldest man-made lake in North Warwickshire. The Hall has a long history spanning over a millennium and the first written record of Middleton is in the Doomsday Book of 1086. Our medieval stone building is the oldest domestic building in Warwickshire. The Hall has been home to many interesting characters including a commander of the Battle of Hastings; a Tudor explorer and two extraordinary naturalists. The Hall is run by an independent charitable trust that was founded in 1980. A lived-in family home up until 1966, the house was bought by Amey Roadstone who used the estate for gravel extraction. The company had no use for the buildings and grounds and it was left derelict for ten years. In 1977, a group of ramblers came across the Hall during a walk and were dismayed by its sorry state. They approached North Warwickshire Borough Council for funding but the application was rejected as they deemed the Hall past repair. Undeterred, they founded Middleton Hall Trust in 1980. Amey Roadstone granted them a sum of £25,000 per year for ten years to be spent purely on materials. Middleton Hall was saved by an intrepid volunteer army and it would not be standing today without them. We are still heavily reliant on, and grateful to, our incredible volunteer army today. Today, our site is open seasonally to the public as an historic house and gardens whilst our Courtyard, full of small independent shops and a fantastic coffee shop, is open all year round. Explore our history from 1066 all the way through to the 1980s and wander the Georgian Walled Garden and nature trail which is a registered Site of Special Scientific Interest. We host a variety of events including Plant Hunters’ Fairs, motor shows and heritage-themed days. If you would like to keep up-to-date with our latest news and events, sign-up to our monthly e-newsletter here.